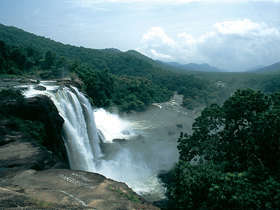 Compiled by Corinthian’s travel experts, South India Top Ten has been designed as a reliable reference point to enable you to identify the absolutely unmissable Top Ten Sights in South India, as well as the most exciting South India Travel Experiences, and South India’s most notable and luxurious hotels. There are of course besides a myriad of other marvels and wonders to been seen and experienced. Every list is by its very nature highly subjective and restricting ourselves to naming just ten has been no easy editorial task! We hope that our South India Top Ten suggestions will provide a flavour of the country’s magic and will inspire you to explore further. 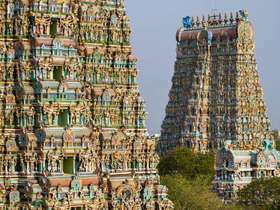 On the South India destination page you will find more detail; including an extensive list of private tour suggestions, a guide on where to travel, and our preferred hotels. Alternatively, call us! We would love to hear from you. 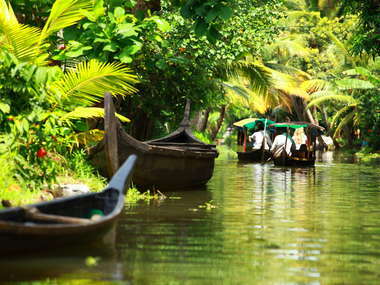 The alluring Keralan backwaters, a network of rivers interwoven with canals, lakes and lagoons that meander through almost half the length of the picturesque state of Kerala are universally accepted amongst the top 10 places to travel to in India let alone southern India. 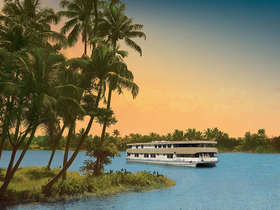 Choose between the vibrant waterways of Alleppey, popularly known as the ‘Venice of the East’; or alternatively travel to the northern districts of Kerala and take a houseboat through seldom-visited tranquil backwaters exploring remote unspoilt villages and ancient temples ignored by mainstream tourism. A cruise through the backwaters combined with an overnight stay on a traditional houseboat continues to remain one of the most inspirational moments for travellers to this part of the world. Tanjore and the neighbouring small towns in Tamil Nadu’s fertile Cauvery delta are home to the three great UNESCO World Heritage listed living Chola temples, which were built by the Kings of the Chola Empire between the 11th and the 12th century AD. 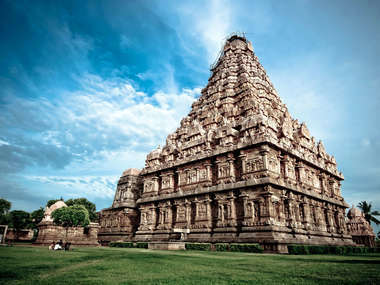 The Cholas were avid patrons of art and the three celebrated temples: Brihadeeswarar Temple at Tanjore, the Brihadeeswarar Temple at Gangai Konda Cholapuram and the Airavateswara Temple at Darasuram, stand testimony to the affluence and craftsmanship of the time. Exploring the temples offers the chance to admire the stone carvings and observe the ancient Vedic rituals that have hardly changed in the last thousand years. Fort Cochin is an extraordinary time warp where the past blends seamlessly with the present. 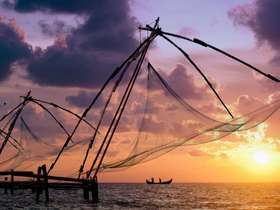 Originally, a trading post that lured merchants and explorers from around the world, Cochin’s strategic location meant the city was fought over by the Portuguese, Dutch and the British. 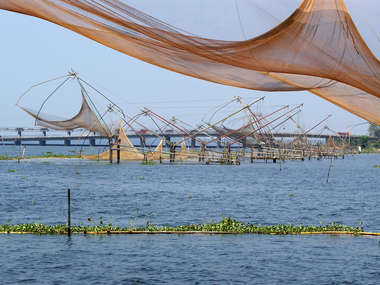 Today, the legacy of the colonial powers is evident in the town’s architecture, while bordering Mattancherry, Jew Town with its ancient synagogue, stands testimony to the Jewish community that lived here for centuries.The cantilevered Chinese fishing nets and the Keralan cuisine that borrows liberally Arabian flavours reveal legacies of traders who visited the region centuries ago. In its heyday, Hampi was one of the greatest cities in the world. 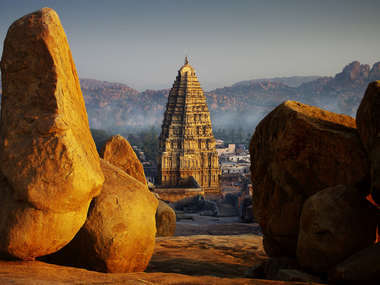 Built as the imperial capital city of the Vijayanagar Empire, Hampi once had extensive trade links with Arab and European merchants and its bazaars were filled with precious stones. 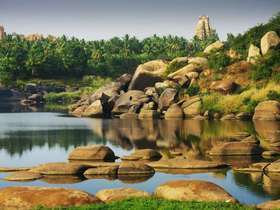 Niccolo de Conti, 15th century Venetian merchant, observed that Hampi was so large that no man has seen its like upon the earth. Hampi’s abrupt end towards the end of the 16th century was brought about by the Deccan Sultanates, as the invaders pillaged it for six months. The city, abandoned soon after, today reveals its crumbling grandeur through the stunning ruins of fortification walls, temple complexes and palaces that are scattered around a boulder strewn landscape. 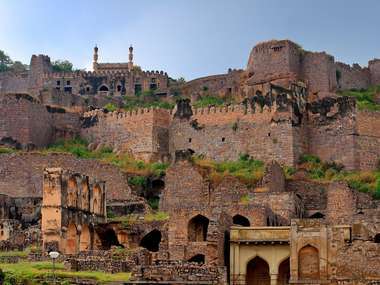 The spectacular ruins of the Golconda Fortress sprawl over a steep granite hill, just outside Hyderabad. Set within an impressive stone wall traversing over 7 kms, Golconda Fort is a fine example of a medieval Islamic settlement and is complete with royal apartments, mosques, ingenious water and acoustic systems, landscaped gardens, and striking Indo-Islamic architecture. In its heyday, Golconda was an important hub for world’s diamond traders and the vaults of this impregnable fortress were used to store the magnificent Koh-i-Noor diamond. Ascend to the top of the citadel and take in the glorious views of the surrounding countryside and the striking Qutb Shahi tombs that lie at a distance. 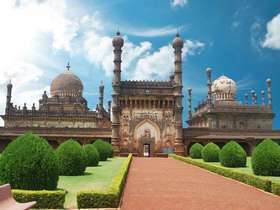 The iconic 19th century Amba Palace in Mysore, which was designed by Henry Irwin, attracts nearly as many visitors as the Taj Mahal in Agra and is popularly known as the Mysore Palace. Built in Indo-Saracenic style, the palace with its marble domes, stained glass ceilings, exquisitely carved doors and walls decorated with paintings from Hindu epics, showcases harmonious fusion of Mughal, Rajput and Gothic styles of architecture. Bijapur, in north Karnataka, has the largest concentration of late medieval Islamic ruins in southern India and showcases the finest contributions of the Adil Shahi dynasty (Sultans of Bijapur between 1489 and 1686). In its heyday the town was renowned for its stunning Indo-Islamic architecture including mosques, palaces, mausoleums, citadels and gardens. 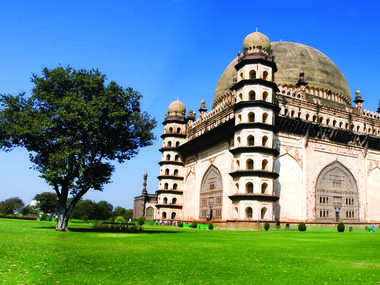 Today, the most remarkable monuments among the splendid ruins include the Gol Gumbaz featuring the second largest dome in the world; the Jami Masjid with its elegant arches, which is one of the finest mosques in India; and the striking Ibrahim Rauza with its impressive tomb of Ibrahim Adil Shah II and a graceful mosque with slender minarets. 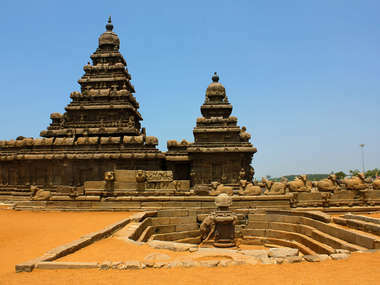 Mahabalipuram is an historic city and a UNESCO World Heritage Site noted for its ancient rock-cut cave temples, open-air stone sculptures dating back to the 8th century, and the Shore Temple which is regarded as the earliest stone temple in southern India. A visit to the ancient coastal town offers the opportunity to admire the dramatic ancient bas-relief featuring dozens of sculptures narrating tales from Indian epics and to learn about the influence of the splendid five-storied Shore Temple on the creation of later temples in India and South East Asia. 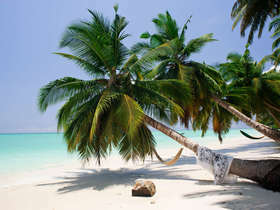 The isolated, stunningly beautiful Andaman Islands with their picture postcard sun-kissed beaches, pristine blue waters, green forest cover and a wealth of marine life, are located midway between Indian and Burma. An archipelago comprised of 325 emerald isles scattered across the vast Indian Ocean, the Andamans are an ideal destination for those seeking Robinson Crusoe style adventures, or idyllic beaches with an eco-sensitive, no-frills hideaway in which to unwind. A visit to the Andaman Islands offers the chance to relax by the beach, enjoy the beautiful sunsets, go for a light swim in the calm, turquoise blue waters, explore the lush green forests on foot or enjoy snorkelling. Bekal and Kasargod on Kerala’s far north are blessed with expansive, unspoilt, golden-sandy beaches that are still largely unknown to mass tourism. 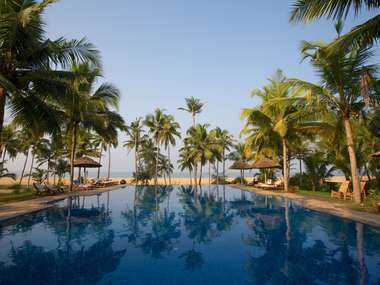 Bekal is also a convenient base from which to discover the tranquil north Keralan backwaters; explore the imposing Bekal Fort – Kerala’s largest fortification; see the exotic ancient Theyyam dance ritual, or visit coastal fishing villages on a bicycle and gain an insight into the lifestyle of the local community.